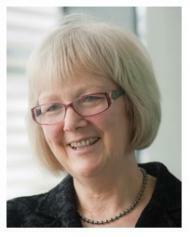 Sally is Professor of Management Science at the University of Southampton. Sally has worked for over 25 years in the area of health O.R. She is Vice-President 1 of EURO and chair of the EURO Working Group on OR Applied to Health Services (ORAHS). She is one of the Editors-in-Chief of the UK OR Society’s new journal Health Systems. She has twice won the UK OR Society's Goodeve Medal, in 2004 for modelling emergency healthcare services in Nottingham, and in 2006 for modelling chlamydia infection. Modelling human behaviour in healthcare systems: is it possible, and why should we do it? Healthcare systems have been a popular application area for operational research modelling, in particular discrete-event simulation (DES) modelling, for more than sixty years. This talk focuses on DES models in which the simulated objects in such models are human beings (usually patients). We argue that this is an area where it is very important to capture human behaviour. Two widely used psychological models of human health-related behaviour are presented, and their relevance and applicability to DES modelling is discussed. The talk describes two case studies which include patient behaviour: a DES model of screening for diabetic retinopathy, and a microsimulation model of screening for breast cancer. The key questions are: can we actually model patient behaviour, and does behaviour matter more in healthcare than other areas?